Braydon convinced me to FaceTime with the kids tonight. I hate FaceTime. I hate seeing myself on the screen, and I get distracted by it, and it makes me want to cringe. But the kids. They love it. They love seeing themselves on the screen, and they get distracted by it, and it makes them crazy. Which also drives me crazy. 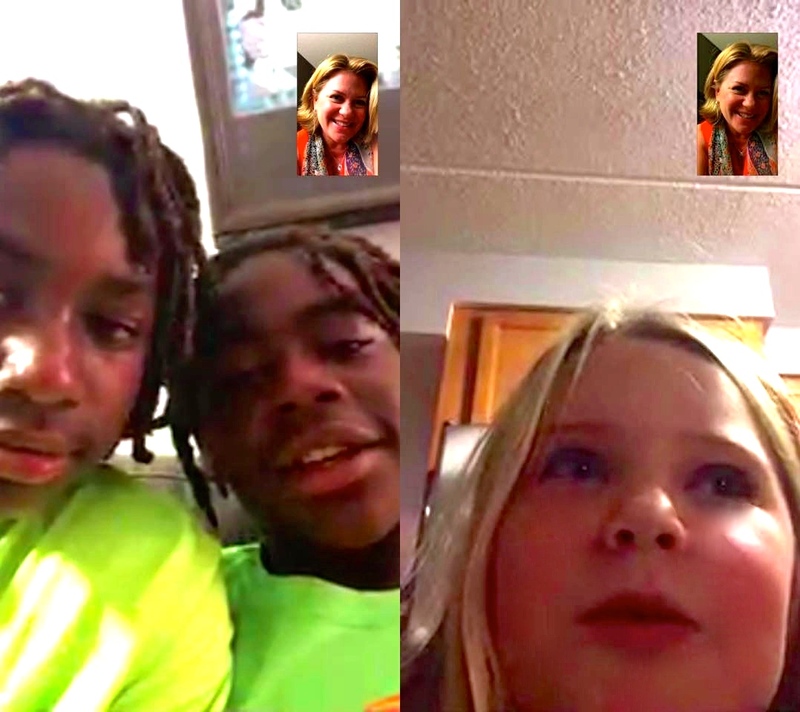 But, I knew he was right: phone calls are so old news, and FaceTime is the way of the world with our 2015 kiddos. So, there I was, FaceTiming from my Dallas hotel room with my bambinos. Work trips are so crazy complicated. I hate leaving them. I hate leaving Braydon alone to have to cover all the bases, holding down the fort at home (and, oh what a crazy fort it is!). It is so disruptive for me to leave. And I miss them. And the re-entry burn is so tough going back in. I know all that. But the time away — focused on serious work, getting real about real big stuff, space to think for myself, oh — and– time for such luxuries as room-service and long uninterrupted showers and sipping coffee alone and flights-dedicated-to-getting-work-done — really, really, really, it is such an amazing respite. Isn’t that crazy? 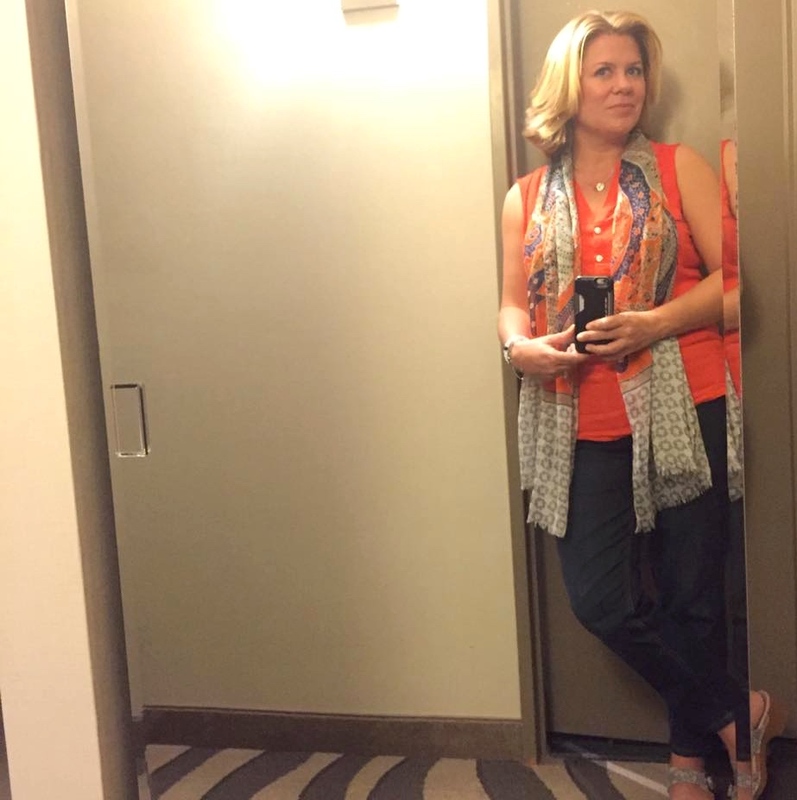 That a hard-core work trip can feel like a break? Whattha?! So, yeah. That’s the truth. And– and I miss them like crazy when I’m gone. And– I love getting away and remembering there’s a whole me that is totally apart from them. This trip has been really productive. For me, for my work, and for my precious little family of five. Tonight, during our FaceTime, the boys told me to “take a selfie!” They wanted to see all of me. As if FaceTime wasn’t enough?! Man, those two are pushing all the envelopes of their mama. But I did it. Cuz, if I can FaceTime for them, I can selfie for them. Which kinda shows how much I love ’em. I fly home tomorrow. And it can’t come soon enough. But until then, I’ll enjoy this lovely hotel room, the Food Network, and the glass of Cabernet I’m sipping all by my glorious self at the end of a verrrrrrry loooooooong day of non-stop work-work-work-work-work. Go you! Heather, thank you for sharing so honestly — it definitely sounds crazy complicated and I am feeling much better informed for whenever/if ever I become a Mum. Love your haircut! All the best for the re-entry!